We give away ten percent of our profits to worthy causes. 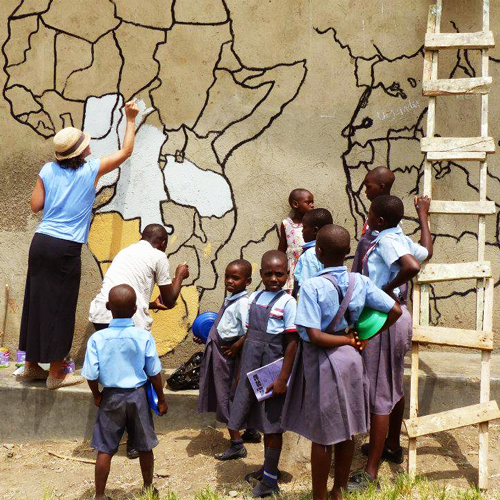 One of our favorites is a school and orphanage in Ntandi, Uganda. Ntandi is a village in western Uganda in a zero-income area near the Congo border and in the shadow of the Rwenzori mountains. The orphanage provides a home for 57 children whose parents died from war, malaria, or AIDS, or other diseases. The orphanage is led locally by staffers who provide safe shelter, healthy meals, and parental love. We can’t solve the worlds problems, and there are plenty of worthy causes and places to give, but we feel that it is our moral responsibility to do something somewhere. Uganda is the place we have chosen to contribute, and for those orphans, our dollars mean everything – and our dollars go a long way. For example, when you have an average sized stump removed, it translates into about 30-50 meals for the children for whom life has been tough. It’s a win/win/win: you get a more beautiful yard, Flatirons Stump Removal stays in business, and the children of Uganda are provided for. For more information, click here.